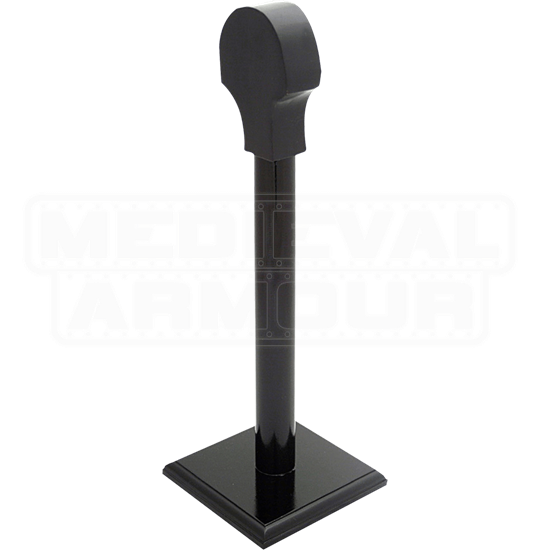 Create an impact when you display your helms on this distinctive wooden helmet stand. 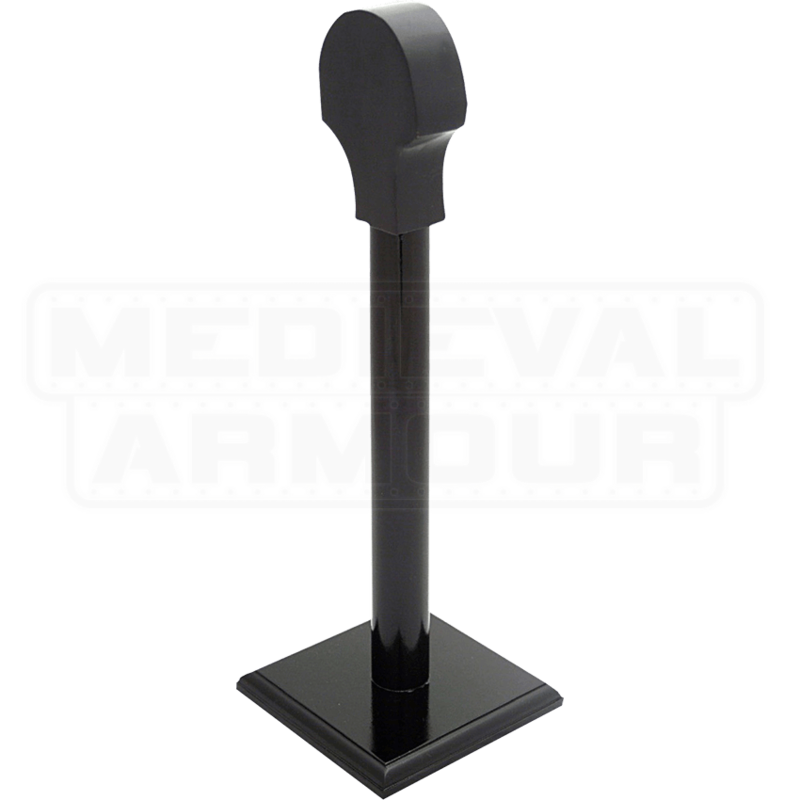 This helmet stand will accommodate any full sized helm. The helm stand is a perfect way to accent and display your favorite helm collection pieces. This helmet stand is made of wood with a black finish. For a dark raider, blackened armour is a pleasing aesthetic. 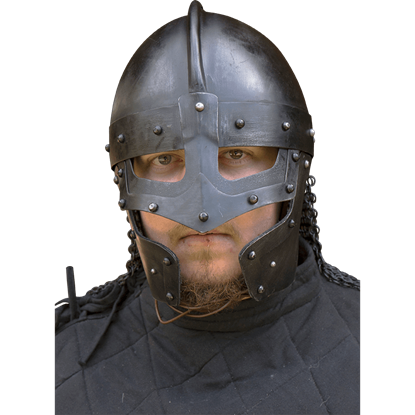 The Raven Helmet - Epic Dark is a blackened iteration of the Norman Style helmets that Vikings wore into battle. Its design provides mobility and security simultaneously! 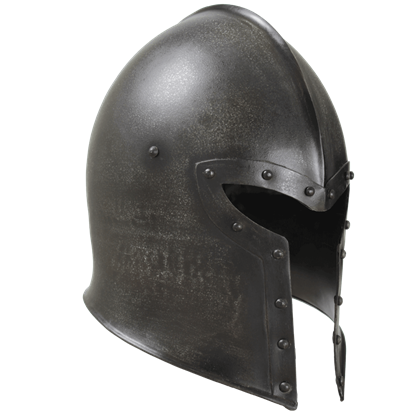 If you are a warrior who seeks protection before looks, then perhaps this Epic Dark Barbuta Helmet is just what you are looking for. Modeled after the Italian barbute helmets of the Middle Ages, this helm is simple, yet effective.